Cooking what is growing fresh in the garden is one of the tenets of traditional Greek cuisine. Wise Greek cooks say that the best cabbage comes after the first cold snap, so this is a traditional winter salad. The oil and lemon juice dressing is a matter of taste. I prefer to go light on the oil (just enough to distribute when tossing) and heavy on the lemon juice, but it's a matter of personal preference. Below is a traditional Greek cabbage salad. Wash the cabbage, clean off the outer leaves, cut in half, and remove the stem. 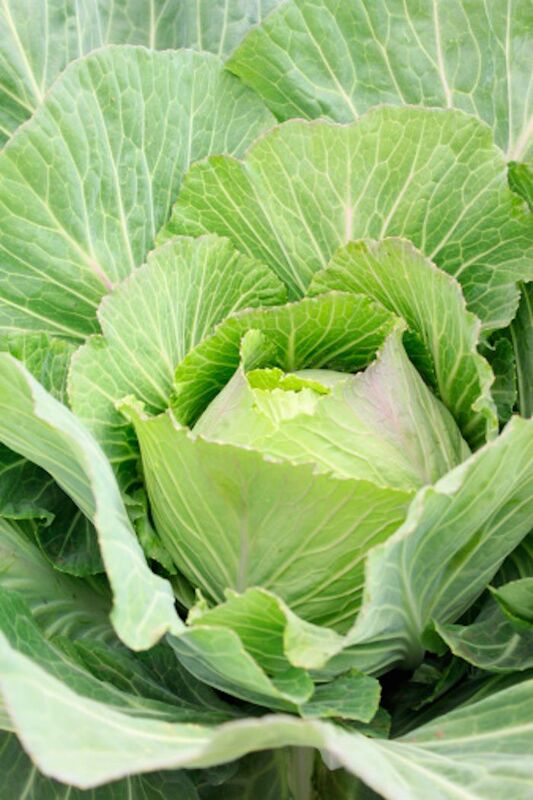 Using a good sharp serrated knife, slice the cabbage as thinly as possible, cutting enough to fill a large bowl. Add celery and garlic and toss. Salt the salad well using coarse sea salt, set aside, and let the salad rest. Immediately before serving, add lemon juice and olive oil, and toss. Taste to find the right balance between the lemon and olive oil. Note: If using the full head of cabbage, start by tossing with 2 tablespoons of olive oil and 2 teaspoons of lemon juice, and adjust from there. Serve in a large salad bowl. The cabbage can also be shredded in a food processor but should be as thin as possible - thinner than a coleslaw. 2 grated carrots can also be added for a different taste.